Birmingham is an economic powerhouse that is poised for even bigger growth. The city offers investors – whether in property, finance, or businesses – huge potential. And it’s all thanks to a far-sighted blueprint drawn up in 2011. Mr Bean’s iconic Mini car, the steam engine, and gas lighting; these three seemingly dissimilar things share something in common – they all have roots in Birmingham. The city in England’s West Midlands may not be the capital of the UK, but it definitely has many of its own claims to fame. Other influential inventions and famous names that came from the city include electroplating, Cadbury Chocolate, X-ray photography, the pneumatic tyre, and even cotton wool. Save for the Mini, which began production in 1959, the other inventions date back to between the mid-1700s and late 1800s, charting Birmingham’s growth from a small hamlet to a major city that was a powerhouse during the industrial revolution. Today, the city is the major convention and shopping destination outside of London, and is quickly gaining reputation as a financial hub. However, far from resting on their laurels, the city’s officials drew up an ambitious blueprint in 2011 for Birmingham’s development. Plans in this blueprint will be rolled out gradually over the next 20 years, and can be summed up by three focal points: connectivity, growth, and liveability. There will be no city without people, and even the grandest of schemes can fail without the requisite interest from investors, residents, and travellers. 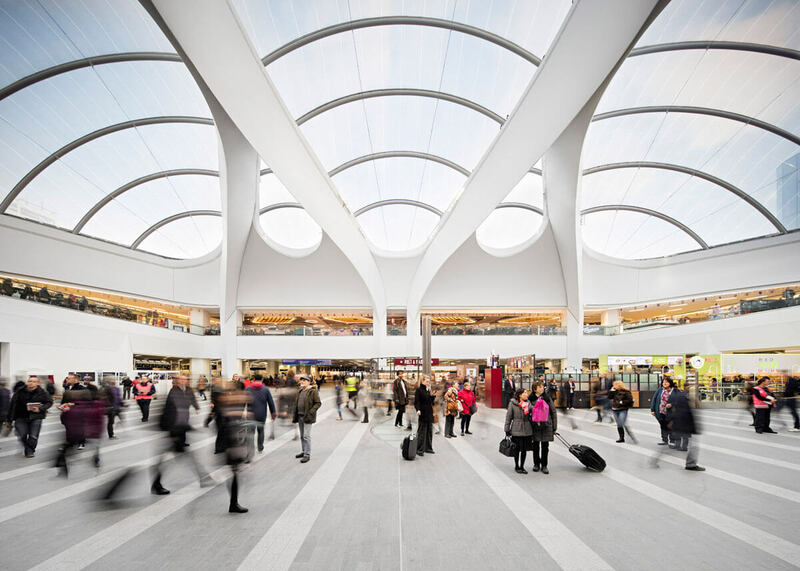 To keep the crowds coming, Birmingham’s city planners have envisioned more connections to the major highways that surround the city, extensive rail linkages, and a more comprehensive web of pedestrian connections that will bring human traffic to the city’s busiest nodes. To this end, Corporation Street was made bus-free in 2012, joining New Street, which was already a major walking route. A total of 28km of pedestrian walkways with dedicated cycling routes will be added gradually, connecting parks, retail streets, and scenic 35 miles of Birmingham’s canals. Perhaps the most exciting transport development is the proposed High Speed 2 (HS2), a new high-speed rail network that will link Birmingham with Manchester, Leeds and London. The British government has already awarded 6.6 billion pounds in contracts for its construction. When completed in 2026, the HS2 will stop in Birmingham in the future redeveloped Curzon Street terminal – one of the oldest railway terminal in the world. In turn, the terminal itself will also be rejuvenated and host an exhibition centre and shopping centre. Within Birmingham, emphasis will be placed on developing public transport, with extensions to existing metro lines as well as the building of more Rapid Transit Routes linking the city’s core to the city’s fringes. The most significant phase of public transport development has already been completed – the new New Street station, unveiled in 2015 after a five-year renovation, cost 750 million pounds, created more than 1000 jobs, and easily handles the five million plus visitors the station sees annually. Birmingham has already seen success and is well-equipped for continued success in the future. Its substantial workforce of around 500,000 people serves a wide range of sectors, including a rapidly-growing science and technology industry, as well as banking sector. Its creative industry is also thriving, with 3,400 businesses representing 10% of the companies that call the city home. The city centre alone accounts for more than 150,000 jobs. The workforce gets regular injections of fresh talent from the city’s three well-regarded universities, which together, represent 75,000 students. The regeneration of the city centre will see it grow by 25% to cover an area of 800 hectares. Its current resident population of 30,000 will reflect this growth, and is expected to more than double over the next 20 years. Over 50,000 new jobs will be created to support this new population, and they are expected to contribute 2.1 billion pounds to the economy per year. Grabbing headlines recently was the relocation of HSBC’s headquarters from London to Birmingham. The move saw the bank transferring 1,000 jobs to Birmingham at a 250-year lease office at the new Arena Central building. HSBC follows hot on the heels of Deutsche Bank, which moved 500 workers from London to a new address at Brindleyplace, Birmingham in 2014. To cope with this rapid growth, the improved Colmore Row Central Business District will see more Grade A office spaces being created. The business district will also see a southern extension being built, which will link it to the area around Martineau Galleries, the future High Speed 2 railway station, and Eastside. In turn, the latter will be transformed into a hub for knowledge-based firms, with its nucleus being the Birmingham Science Park Aston. The creative industry, too, can look forward to a big boost. The historic Jewellery Quarter and Digbeth will both see new office spaces for creative studios and start-ups woven into its existing tapestry of heritage buildings. Rapid growth within the city’s core can only be sustained if the city centre remains bustling and vibrant at night. Concerted efforts have to be made for Birmingham to avoid the “dead town” phenomenon that plague so many major cities once night falls and offices empty of their occupants. One often-sought solution undertaken by many cities is to attract a resident population into the city centre. Birmingham has recently seen a growth of apartments around its city core, indicating a rise in city centre resident population. However, more can definitely be done. The real challenge lies not in attracting single professionals to live in the city’s core, but families, both young and old, to move in, too. Diverse housing options to cater to various family types and sizes are a must, and access to schools, parks, and shops integral. Several areas have already been marked out for residential development. These include Attwood Green and around Broad Street and Southside. Carefully designed residential homes that blend in seamlessly with the historical environments of Digbeth, St George, St Chad, and the Jewellery Quarter are also in the works, as well as family-friendly housing at Highgate and Ladywood. This recent interest in Birmingham, bolstered by the clear development plans that have already been put into motion, can only mean that the city will continue to prosper and grow. A projected 26,000 households are expected to be added to the metropolis as the many investments attract new businesses, residents, and opportunity seekers. New homes will be needed, but with only 9,554 units currently in construction, a future shortage of housing is almost inevitable, and it is also for this reason that Birmingham is fast becoming a hotspot for property investments. This has not gone unnoticed by overseas developers, many of whom have already drawn up blueprints for high-quality city centre housing. One such developer is Hong Kong-based company Top Capital Group that has started developing residential projects in the city since 2014 and has now two new projects, The Axium and Arden Gate, in planning. The former sits on a 2.26-acre site on Windmill Street, just a few minutes’ walk from the Grand Central-New Street station and the business district. Upon completion in 2019, the property will add 304 high-end apartments to Birmingham’s property landscape. The latter, situated on William Street and also within walking distance from Grand Central-New Street station, the Mailbox and HSBC new headquarters, is a 1.35-acre site with 214 units to be delivered late 2019.